✓ Quick & Easy Setup! ✓ Stands up to the toughest of environments! environments while maintaining its portability, ease of setup, and cost effectiveness. 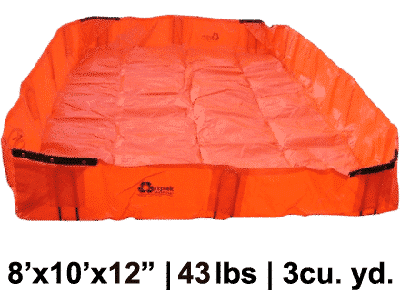 ✓ Compatible with Mixers, Wheel Barrows, and Pump Trucks! 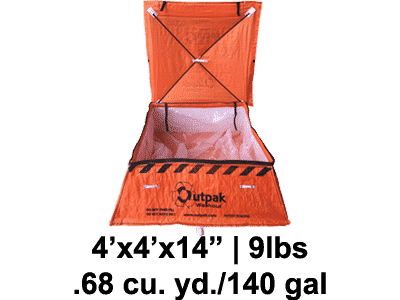 Outpak Concrete Washouts are designed to be a convenient, portable solution for harmful industrial concrete, paint, dry wall mud, stucco, and mortar wet waste. They are designed for easy transportation and storage and simple, quick set-up in minutes. 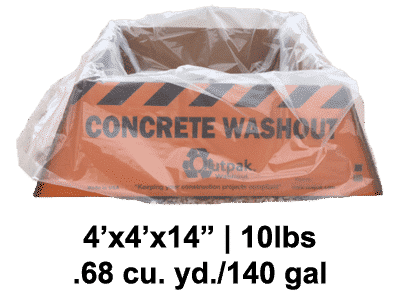 Outpak Concrete Washout has sizes for both mixer and pump trucks and can be used to wash off your tools including wheel barrows. Dispose of after evaporation and job completion. Prepare for enforcement within the city or county you are working in. 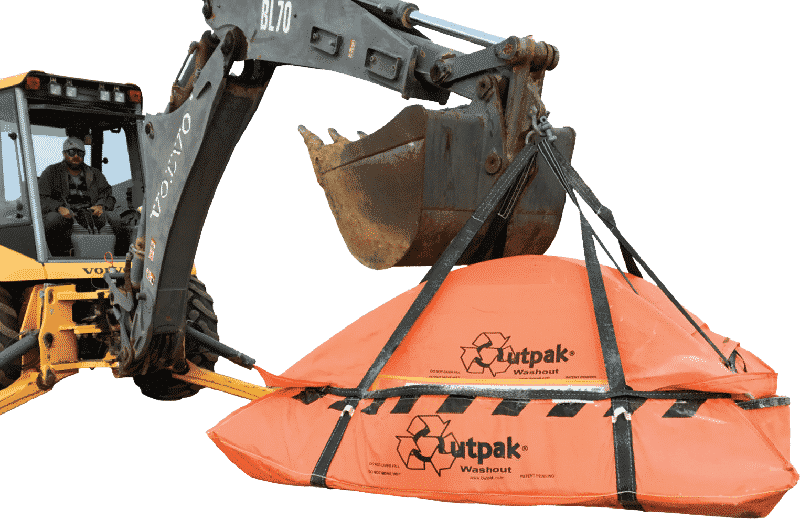 There is no faster or easier way to manage concrete washout than Outpak Concrete Washouts. 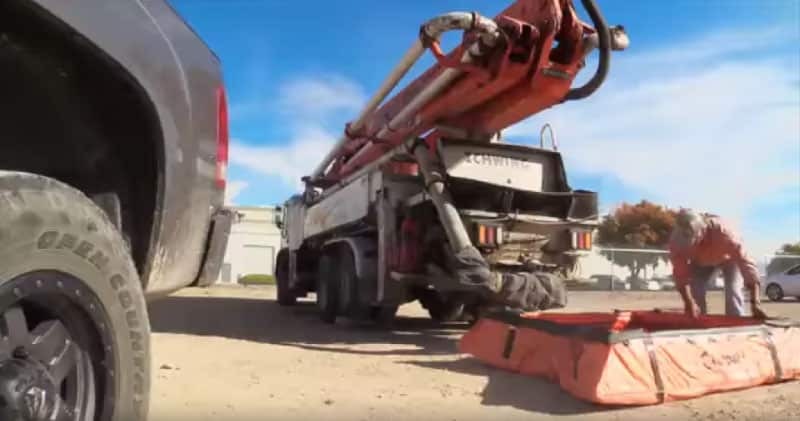 In Boise, ID we are required to have an onsite washout prior to footing inspection. If there is no washout, there is no work. We are committed to delivering environmental solutions for the construction industry. In 2008 local inspection agencies began enforcement of the Federal Clean Water Act resulting in the implementation of Best Management Practices for erosion control and sediment containment. 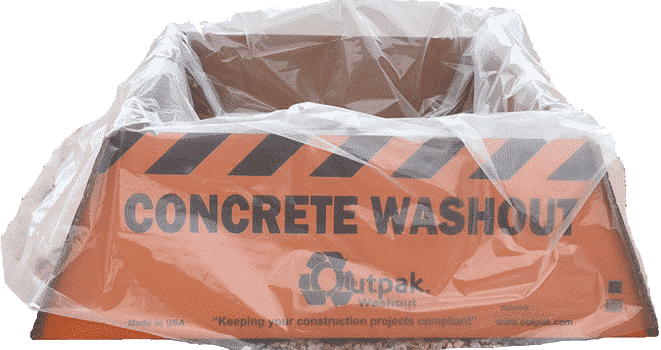 We offer a wide variety of concrete washout and other spill containment solutions that are BMP compliant and eco-friendly. Accepted Payment Methods: VISA, MasterCard, American Express, Discover and PayPal. Sales Tax: We collect sales tax (6%) for shipments in the state of Idaho - We do not collect taxes outside of Idaho. International Shipping: Please contact us for International Shipping rates. Shipped via UPS ground, LTL on volume quotes. FOB from Boise, ID. Shipping to P.O. Boxes is not allowed. Most products are shipped within 1 day from Boise, ID. Based on your location, ground delivery will take, on average, between 1-5 business days. © 2019 Washout Box. All Rights Reserved. Website by Social Eyes Boise Digital Marketing.